recently restored, have a name like matadero, centenario and independence. in 1916 during 100 shooting of nine proceres, the municipal council order the name of martyrs. 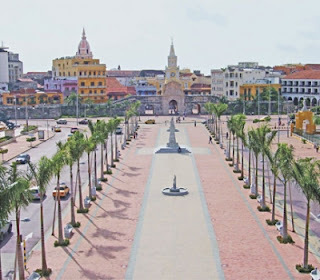 the spanish pablo morillo came to cartagena have a punishment and the better way have to jail and executed in public plaza. nine were executed, they judgement without legimitic defense. 24 february of 1816 the martyrs take to executed outside the wall. the bodies were buried and the bodies were buried in a common pit in the cementery of manga. the camellon of martyrs is a monument restored and a pass of historic centre and the neighborg getsemany. 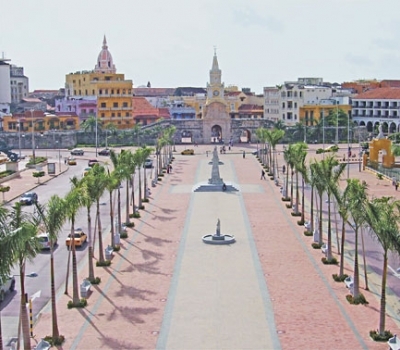 the centre of convencions have a interest of the dock of pegasos and cartagena bay.